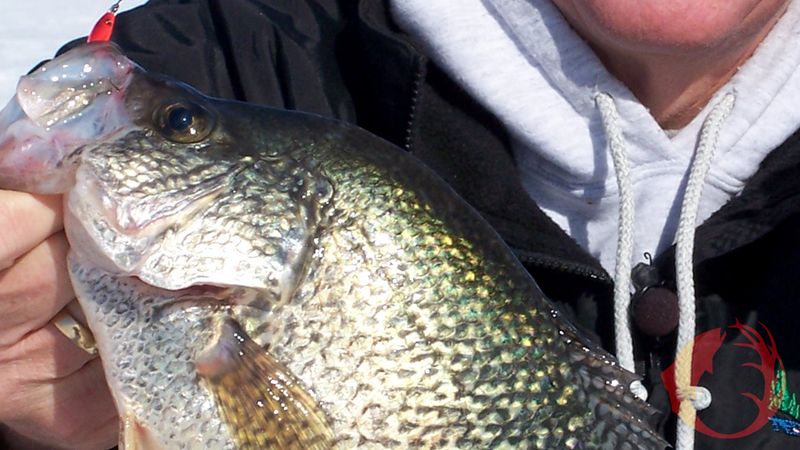 Our fishin’ friend Duane Petersen took this slab crappie on a tiny spoon that he was jigging very slowly. Along the light side of things, you want light line. Light line handles the tiny baits better, but it’s also less visible to the fish. At times in clear water it’s possible to look down the hole and watch fish come in and look at your bait. It’s interesting to see how closely they examine it at times. Light, invisible line will make your bait look more natural and the fish will be more likely to eat it. P-Line Floroice is a very good line choice, with 4 pound test being as heavy as you would want to go.